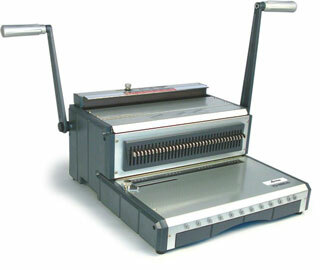 Heavy Duty Solid Steel Wire Binder for Everyday Use. Suits Large Regular Volume Binding. Heavy Duty Strong Metal Construction. Margin Depth Adjuster (2-8mm)-holes from edge of page.